I don’t know which Gabor this is (Zsa Zsa?) 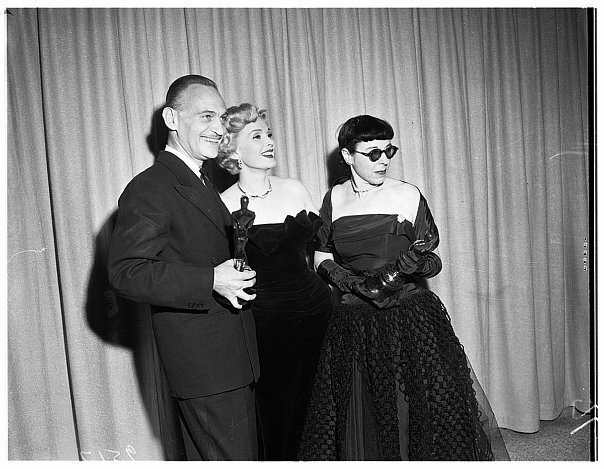 presenting at the 1952 Academy Awards… But, Walter Plunkett shared an Oscar with Irene and Orry-Kelly for AN AMERICAN IN PARIS (color) and Edith Head won for A PLACE IN THE SUN (black and white). Zsa Zsa punched the cop not Eva! Gotcha! Green Acres… Darling I love you but give me Park Avenue! I never cross Park Ave without thinking of Zsa Zsa, out there on the balcony in that blouse and sunglasses, and hearing the twang twang of the Green Acres theme tune. But back to the Oscars . . . I have always fancied, in my yet to come severely “old age” with risk of dementia, that I might not perhaps know who the current President or Prime Minister is but I will always know that Walter Plunkett designed those fabulous costumes for Gone With the Wind! That got me going! I’m okay on the President…. But, the Prime Minister is still John…no, David Cameron??? 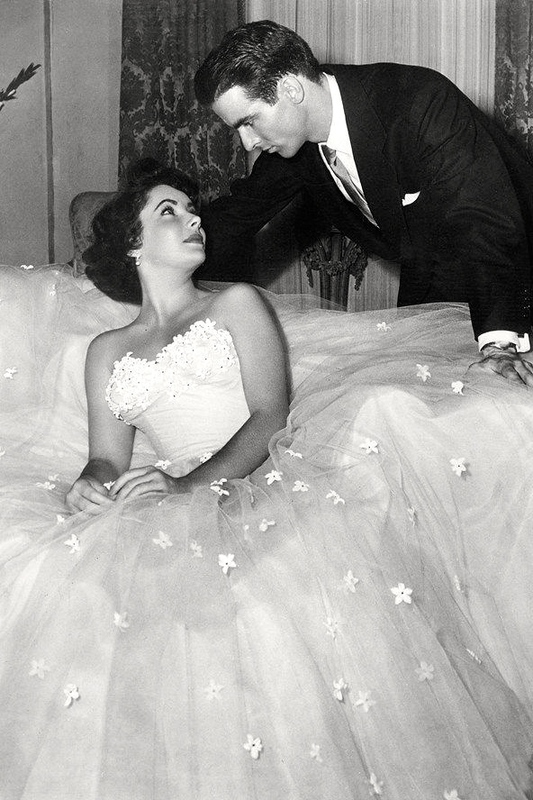 You’re right…who could forget the dress that launched a million prom gowns! I’ll correct that, thank you.